The probunkers project will contribute to the development of LNG marine infrastructure by providing premier and reliable LNG bunkering services that will support the future of Sustainable Shipping and Green Energy. This is an innovative multimillion USD global-scale project which offers the opportunity to invest in two fundamental and dynamic industries; Shipping and Energy. Shipping is one of the main drivers of the global economy. Shipping makes possible and affordable the transport of raw materials and people, the international trade and import/export of food and goods. Seaborne trade continues to develop. The prospects for the industry’s further growth continue to be strong. Shipping is an international industry. Merchant shipping is carrying more than 90% of International trade. 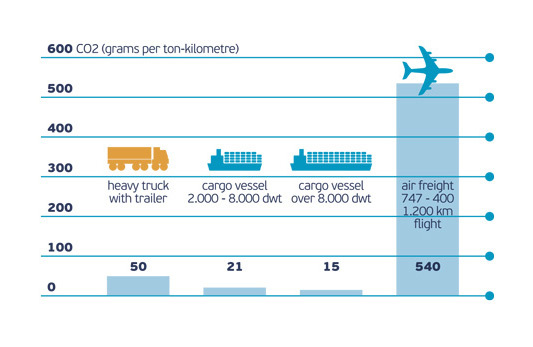 Shipping is the most efficient, most economic and most environmental friendly transportation mode. More that 87,000 vessels are currently in operation. In an ever-changing world, earth population grows and the global energy demand constantly increases. 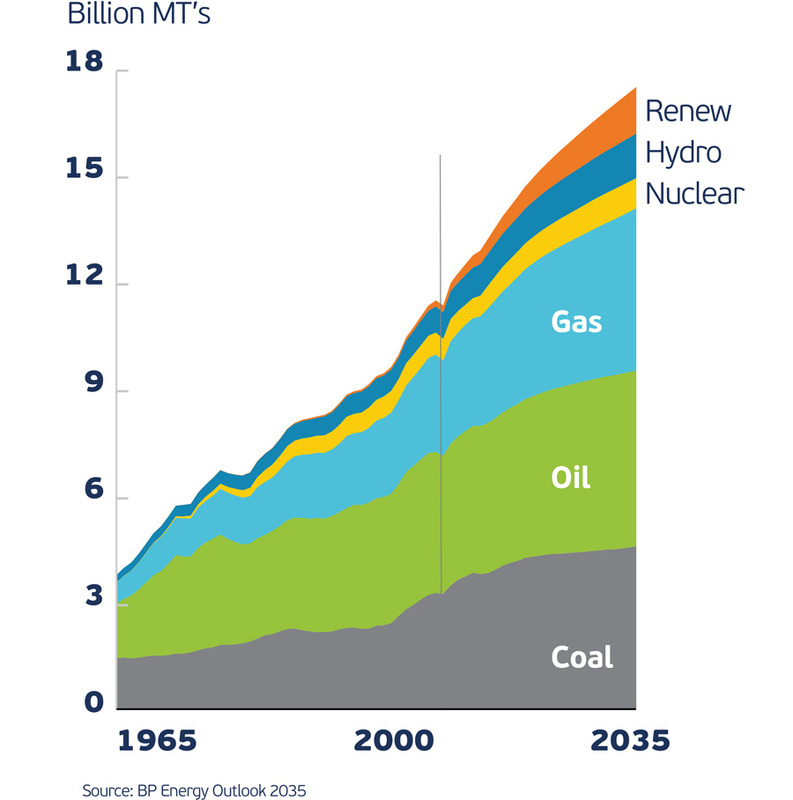 The Energy Industry is a crucial part of the global infrastructure. Production and consumption of energy resources are critical to the global economy. All economic activities require energy resources, whether to manufacture goods, provide transportation, or operate machineries. The energy industry comprises of companies primarily working with oil, gas, coal and fuels. Natural Gas is the fastest growing fuel type, with an increase of about 1.9% per year. 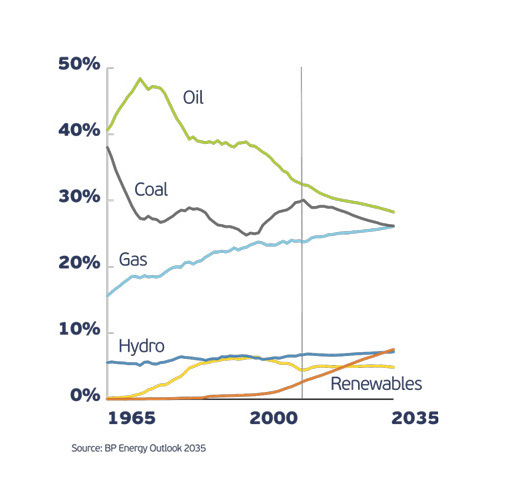 Gas gains share steadily and by 2035 will have a 26-28% share in the energy demand mix. 1/3 of the increased energy demand is provided by gas. 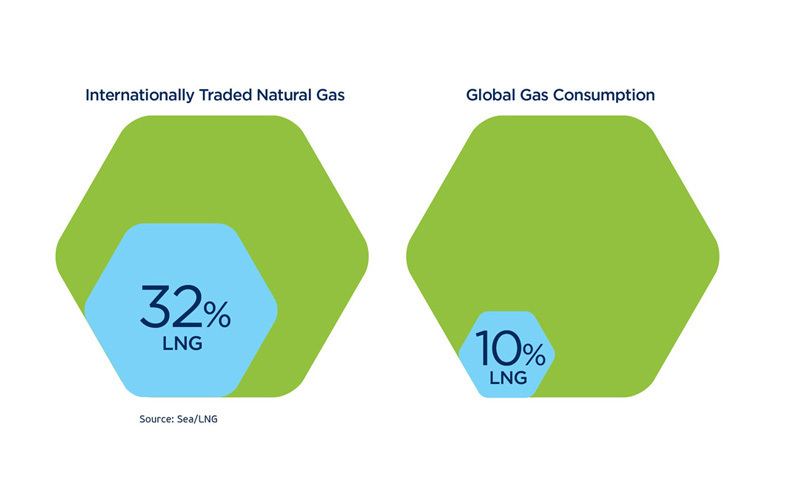 LNG accounts for 10% of global gas consumption and represents 32% of the Internationally traded natural gas.